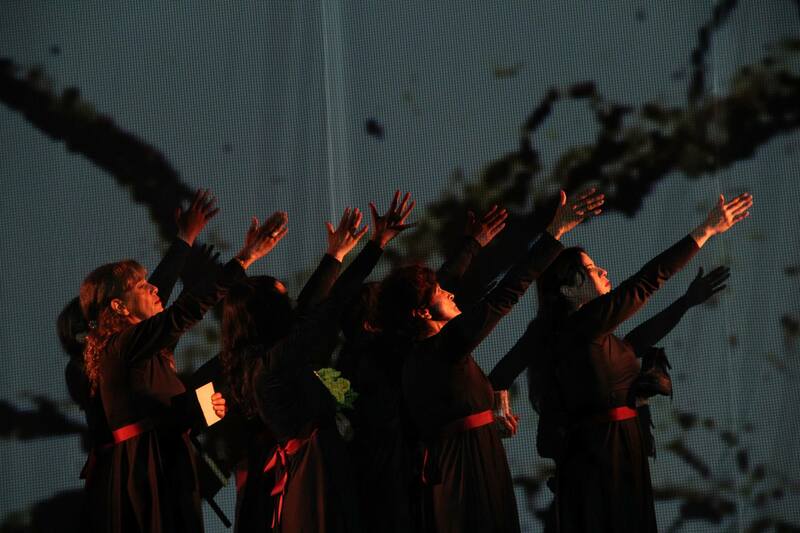 Collective creation of Teatro Tramaluna Lab, where six women victims of violence in Colombia create on stage a catharsis while denouncing crimes against humanity. It won the Scholarship for creation of Art and Memory. The group is composed of mothers of Soacha, women survivors of the genocide of the Patriotic Union, students victims of judicial assemblies, defending human rights lawyers, actors and artists with long careers. Directed by Carlos Zatizabal , writer, actor, director at Corporación Colombiana DeTeatro and TramalunaTeatro. BULLERENGUES BY TRAMALUNA at Terraza 7. Saturday March 21st, 2015 at 7:30 pm. No Replies to "BULLERENGUES BY TRAMALUNA"